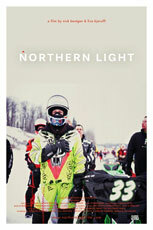 Set against the backdrop of a town's annual snowmobile race, NORTHERN LIGHT explores the working class experience in a series of captivating personal stories of recession-era America. The lives of three families change profoundly in the north woods of Michigan, where winters are unforgiving, jobs are hard to come by, and the line between living life and simply surviving is razor-thin. This cinematic, observational documentary explores the American working class experience through character-based storytelling. As racers and their families pin their hopes to a 500 mile-long test of endurance, small triumphs and giant sacrifices are made along the way. Dysfunction and hardship permeate the cold, but this harsh setting is simultaneously the site of community and familial intimacy. Filmed over the course of several years spent with the film's protagonists, NORTHERN LIGHT is a fresh and vital contribution to the tradition of contemporary American cinema verite.